So did you hear? Apple exposed the masses to their soon-to-be release tablet computer, the iPad. The road leading up to the event was one that was both confusing and irresistibly intriguing. In these last few months, we heard a lot of hearsay, some of it true and some not so much. Let’s separate the truth from its stretches. 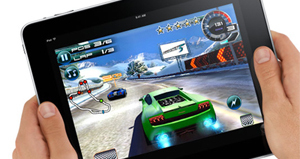 We heard an awful lot of argument over the rumored iPad’s screen size. 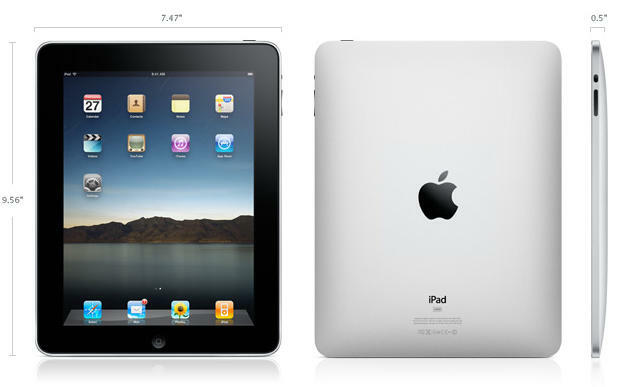 Sizes ranged from a smaller 7-inch screen all the way to 11 inches. Stronger sources like Ars Technica recently ran a piece on an 10.1 inch LCD shortage affecting many manufacturers who were said to be shopping around for suppliers. Days before the event, it seemed as though the speculation had settled on an iPad screen ranging from 10 to 11 inches. Verdict: Wrong! Apple went with a 9.7” LED backlit display. No OLED and no LCD. The screen technology is alas IPS. Probably the most important decision comes down to Apple’s operating system of choice. Earlier rumors suggested Apple would use a full version of touch compatible OS X which later developed into a slightly stripped down version of its desktop counterpart. After the release of the iPhone, it became hard to argue against a more custom overhaul to operating systems, focusing on a new way to interact with the device. There were a number of analysts who projected the iPhone OS to be blown up, essentially using the same OS the iPhone runs. Verdict: So-So. iPad runs a slightly modified iPhone OS with small changes to certain app UI’s but remains largely unchanged. The settings on the iPad have found it to run iPhone OS 3.2. 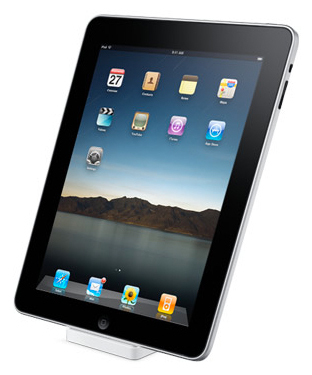 The biggest room for variation, the iPad’s hardware saw the most disagreement between sources. Earliest reports leaned towards an Intel Atom chip, which later shifted towards the idea of an ARM chip. Since the acquisition of P.A. Semi, many expected Apple to use a custom chip developed in-house. Verdict: Predictable. Apple indeed went the route of developing a custom A4 chip that clocks in at 1GHz. Everyone expected WiFi, speakers, and 3G but many expected a front-facing camera for video calls. Verdict: John Gruber wins. The iPad has no camera, either front or back facing. As expected, all other hardware is pretty much the same as its little brothers. Up until launch, the consensus was leaning towards a price point close to $1,000. The WSJ projected the price just under that. There were some rumors of two models, an LCD and OLED screen, with the higher end model reaching a disappointing $2000. Ultimately, most projected the iPad to run anywhere between $500-$1000. Verdict: Win! The iPad starts at $499 and with six (yes SIX) models that run as much as $829. All this reinforces the mindset that rumors are just that. Until final products are released, nobody really knows. Although we may never learn the lesson as our hype machines get cranked to high, we’ll always get a dose of reality when we least expect it.